Lifer! I added a new species of treefrog (Family Hylidae) to my life list during a recent trip to the Orlando, Florida, USA. The Barking Treefrog (Hyla gratiosa) is a large species of treefrog found in the southeast United States, and despite my being in the range of the species on numerous occasions I had not encountered it until recently. The frog didn't cooperate for photos, so they are not the greatest, but it was an enjoyable encounter none the less. For those not familiar with life listing, it is the act of creating a list of the species you've encountered in the field. Birders are the best known life listers, and there is even a must-see movie about it - The Big Year. 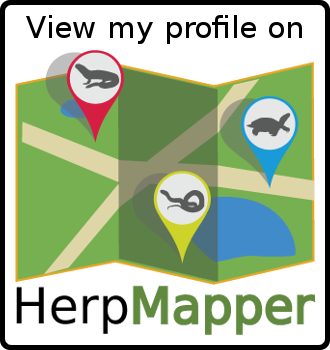 For those that use HerpMapper.org to document their amphibian and reptile observations, HerpMapper automatically generates a life list in your user profile - a very handy tool and major perk for participating! Here is my profile.